Bell Cottages were situated on the east side of the High Road, just north of what is today Chandos Avenue. The Blue Anchor pub can be seen just beyond the houses, and beyond that is the Black Bul. This postcard is postmarked 7 April 1916. 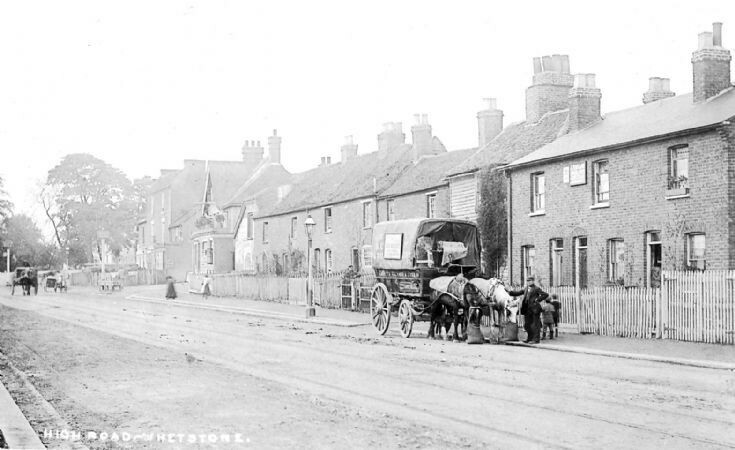 Probably about 1900. the notice on the cart reads "Carperts collected and dyed and refers to the Patent Steam beating co. on Totteridge Green. The site is now Europa House.